It was and is a wonderful experience to be able to see the stages of metamorphosis. I want to personally welcome you to Rising Star Montessori School! 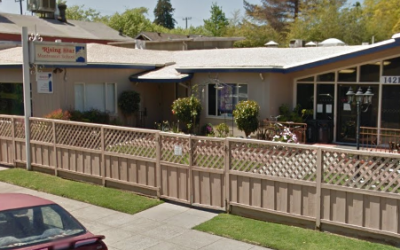 We first opened our school doors in 1982, in the upstairs of the First Baptist Church in Alameda. Initially starting with just two classrooms, our vision then was to create a school that was welcoming and diverse, with a deep commitment to Montessori education and academic excellence. Over the years we are proud to have retained that original “Rising Star” vision, while continuing to evolve our vibrant school to meet the needs of children and the community. Many of our diverse staff and teachers have been with us for years and alumni frequently come back to us in unexpected ways. We have even seen our first generations of students return to our community as grown ups – some choosing to send their own children to Rising Star, as well as several who have joined as regular staff members! Ann Rose Gavey M.ED. is founding head of school at Rising Star Montessori School in Alameda, CA, and is a teacher educator at Montessori Teacher Education Center of the San Francisco Bay Area for primary, elementary and administration levels. She is also an AMS consultant at the early childhood and upper elementary levels. AMS-credentialed (Early Childhood, Elementary I). We welcome you to attend our High Street Campus Open House to learn more about Rising Star School. We will be giving tours between the hours of 9am to 11am. If you are unable to attend please give us a call and we would happen to arrange a tour for a more convenient day. Happy Monday Everyone! Are you already looking forward to the weekend!? Well if your looking for a family friendly event check out this event at Washington Park celebrating our Earth. Happy Friday!!! How will you enjoy the day? Maybe with a grilled cheese sandwich. Our summer program begins on June 17th!!! Hope to see you there. Now enrolling for our summer program! If you would like more information please give us a call or visit our website. Can you believe we have been in school for 100 days? Check out the pictures of our TK/Kindergarten class commemorating the day. Today we maintain two campuses with a collective student body of 160 children, serving preschool through the fifth grade level. Our High Street Campus serves children ages 2.4 to fifth grade, and is also where our administrative offices are located. In addition to our traditional Montessori classrooms, this campus includes two playgrounds, an outside classroom, garden, art studio, computer lab, and our 5,000-book school library. We use the Alterena Theater for performances, assemblies and other special gatherings. We also make a great deal of use of Lincoln Park (one of the largest in Alameda) for physical education, special park days, independent study and our barbeques and picnics. 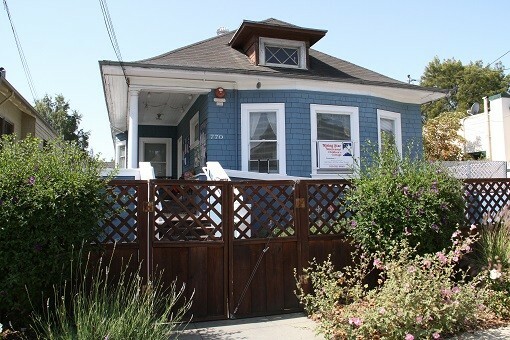 Our Cottage Campus serves children ages 2.4 to kindergarten. Our renovated schoolhouse includes acharming interior Montessori class, as well as a beautiful outdoor classroom. At the Cottage, children experience a smaller, more intimate setting, with all the same resources available at our High Street campus. Son really liked it there and didn’t want to move but he was too old to continue. Very supportive atmosphere for introverted kids. I searched high and low for a private school for my daughter. From Lamorinda area to Hayward This is the only school that met all of my high standards. From PreK to 5th grade this school is completely dedicated to the education, growth and happiness of each child. I’m so glad I found Rising Star and recommend this school to anyone looking for a school that believes in community, child growth, parent involvement, and educational achievement. My daughter has been going to Rising Star since she was 2.5 years old. She has learned so much at Rising Star both academically and socially. I feel very safe with her there and love the teachers. Montessori and much, much more! Choosing the best academic path for your child is one of the most important decisions you will make. We understand the importance of your decision and the time and care that goes into your selection. Our students make the successful transition to local private, parochial and public schools and we invite you to learn more about Rising Star. 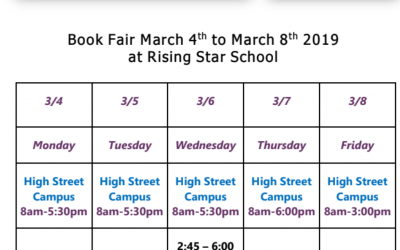 If you would like more information about our school or would like to schedule a tour, please contact us at info@risingstarschool.org. For over 30 years Rising Star has provided a high quality educational program for children based on the philosophy and methods developed by Dr. Maria Montessori. We operate two school campuses and have a collective student body of 160 children (Pre-K – Grade 5). Children who come through our doors move on to successful educational paths in public, private and parochial schools.